Winner of the Best Director Award at the 2012 Sundance Film Festival, MIDDLE OF NOWHERE (rated 15) follows Ruby, a bright medical student who sets aside her dreams and suspends her career when her husband is incarcerated. As the committed couple stares into the hollow end of an eight-year prison sentence, Ruby must learn to live another life, one marked by shame and separation. But through a chance encounter and a stunning betrayal that shakes her to her core, this steadfast wife is soon propelled in new and often shocking directions of self-discovery - caught between two worlds and two men in the search for herself. 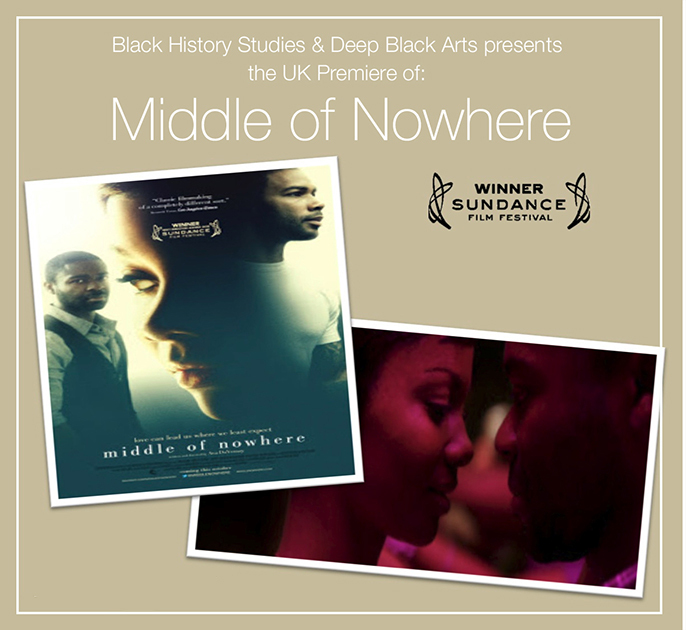 Did you know that at the 2012 Sundance Film Festival, Ava DuVernay became the first African-American woman to win the Best Director Prize for her second feature film Middle of Nowhere?